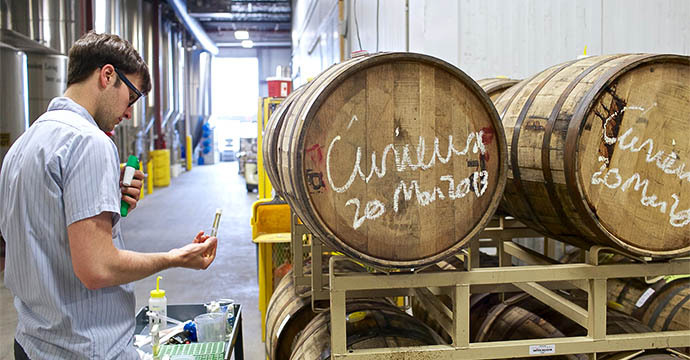 Craft brews aged in bourbon barrels are special beasts, combining the notes of brown spirits and aging with deep, rich brew flavors. There are many great ones now on the market, most in large-format glass bottles. Get him a Bells Black Note Stout, Lost Abbey Angel’s Share, Allagash Curieux or a mixed collection of several that he can sip or cellar.